More than 8 Ton GVM (must be more than 2 axles) plus trailer (Max 9 Ton GVM) as well as extensive training towards your licence test. Ideal Driving School will show you professional truck driving techniques. Queensland Transport requires that the student has held a car licence for at least two years (2 years) or a Light Rigid or Medium Rigid licence for one year (1 year). 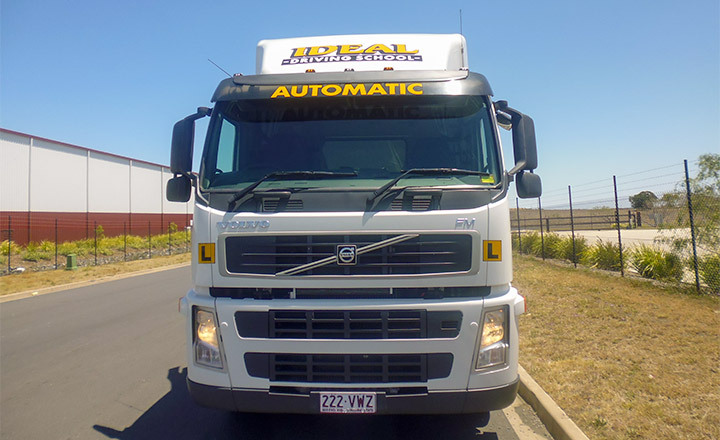 On average the number of lessons for a person who has never had truck driving experience (a raw beginner) is approximately 4-5 plus an hour for the test. 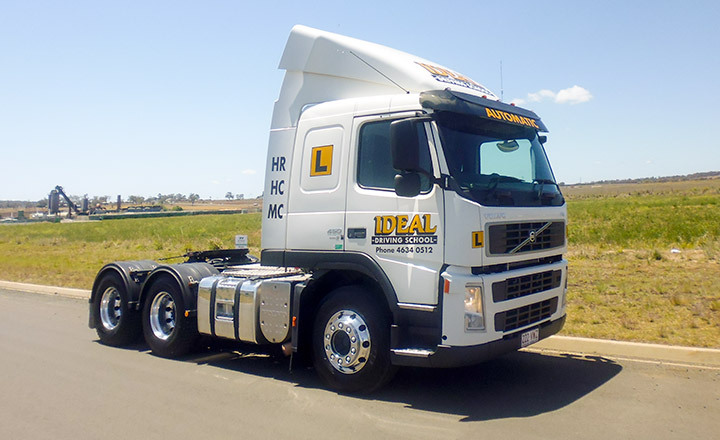 This is for the hire of the truck for one hour whilst undertaking the Queensland Transport test. This licence class HR (Automatic) can be achieved in a 1 day course.